PEPSIN started his musical interests at a tender age of EIGHT (8) and his love for music has grown over the years, he started with his creative writing at the age of 13, and wrote his first own lyrics and poetry in grade 8 at the age of 14. He was one of the founders a hip hop and Ragga crew called “home vale players” at school back in his home town (Kimberley) where he was raised. PEPSIN used to perform at school functions for fund raisings, fun days etc. He later then joined another kwaito, rap and ragga group called ‘Ghetto players’ in Kimberley “Galeshewe/vergenoeg” and later in the year 2009 he formed an unsigned Ragga/Dancehall duo with “fruity” a Dancehall artists from Tembisa. PEPSIN writes lyrics and rhymes in English, Setswana, Sesotho and Afrikaans languages. He is a recording and performing artist, studio engineer of MAXIMUM STYLEZ RECORDS AND PUBLISHING. He worked in studio alongside various young and talented artists and musicians such as to name just a few: DJ FACE, DOUBLE D, JUNIOUR DRED, Mr. MODA aka FRUITYSTAR C-zwe, THA BLOCC, TOWDEEMAC of ‘morafe’, DJ Lecture, Shavulla, MJ, Sean Pages and K’utane, GUSMIXCHESA ,Ahhmuzik, LBZ,LIL ZOW and KEMMY. In 2015 Pepsin officially got signed to Maximum Stylez Records as a recording Artist, and has done features on various musicians projects in and around Gauteng. He is currently working on his most anticipated album Titled”KBY2JOZI” which is due for release later this year. This album has different interesting features from artists to producers. It is a 14-track Raggamuffin/Dancehall album with different elements of other genres such as Jazz, Hip hop, Kwaito, Reggae and Soul music in it, the project is hugely influenced by South African current stories. It takes you on a true journey from the rural to uptown, from the village to the urban streets of all the nine Provinces in our Country and neighboring countries. 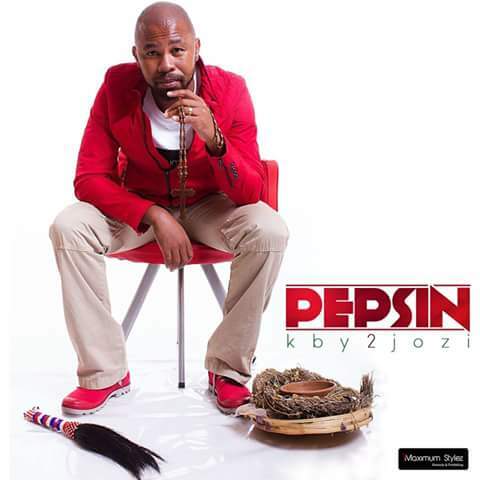 This album, KBY2JOZI, is Pepsin’s first album and he worked with various Producers and artists such as: Dj Face, Gusmixchesa, Lboy, Mr. Moda aka Fruitystar, Afrisoul, Tha Blocc, Mad Koolia and more…. Pepsin has already been promoting his album through releasing singles from the forth coming album. He is doing TV interviews and Performances, performing at events around the country, doing Radio interviews, Promoting through social networks and people within different circles from far and near. The songs in the Album express love, poverty, Awareness, Education, gansterisium, inspiration, Prayers hope, fun and entertainment.